A team of IMAS researchers has released the first ever assessment of the economic and social benefits of Tasmania’s fisheries. The assessment analyses trends and changes in a range of both commercial and recreational fisheries where data is available, including abalone, commercial diving, giant crabs, rock lobster, scalefish, and scallops. 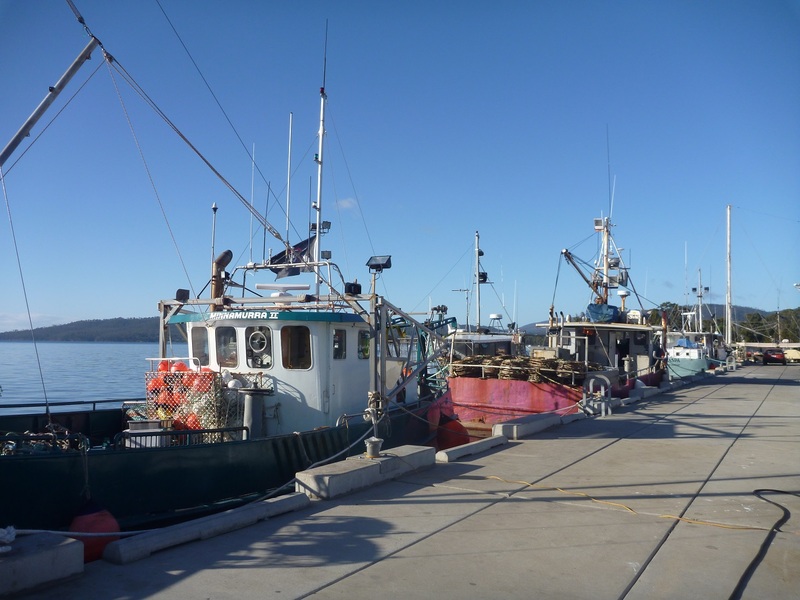 Lead author Dr Emily Ogier said the assessment details a number of measures of the performance of Tasmanian fisheries, from the economic value of the commercial fishery to the number of recreational fishers taking part. “This is the first time an assessment has been produced that takes an overall look at how Tasmania’s fisheries are performing and how they benefit the State both economically and socially,” Dr Ogier said. “Our assessment identifies and quantifies a range of benefits generated by Tasmania’s fisheries, such as economic yield, employment and recreational amenity. “It also shows there have been major changes over the last two decades. “For example, the market value of the profitable rock lobster industry has risen rapidly due to lower catch limits and resultant higher prices, leading to strong investor demand for quotas. “The report also reveals some declines in social benefits. The number of fishing vessels, skippers and divers active in our major commercial fisheries and providing employment has decreased steadily over the last 10 years. “The volume of local wild-caught fish available for Tasmanians to eat has also reduced as catches of local favourites, such as striped trumpeter, have dropped and the proportion of lobster and abalone exported has remained high. “The number of Tasmanians participating in recreational fishing has fallen significantly overall, although not for potting or diving for lobster. “The quality of recreational fishing experience, measured by an abalone or lobster fishers’ harvest compared with their effort, has remained steady. “This assessment will provide industry, government and the community with a better understanding of how our fisheries are changing and the emerging trends. the number of quota units owned by investors based outside Tasmania (interstate or overseas) has increased to 23 per cent from 0 in 1995 for lobster, and to 29 per cent from 0 in 1985 for abalone, indicating a dimunition of the economic yield from these fisheries outside the State.